The iPhone 4 for Verizon Wireless was recently announced for launch on Feb. 10th, 2011 on. Besides other minute design changes in the antenna band, the rest of the hardware appears to be the same as compared to its sibling, the GSM iPhone 4. As many Apple-enthusiasts would know, whenever there is mention any new products, the rumor mill starts turning almost immediately. Currently all of the attention is for the iPad, but the same could be said for the iPhone 5, reportedly coming late Q2/early Q3 of 2011. Feature-hungry users are constantly looking for the latest in technology advancements and with that, we’ve compiled a list of the most wanted features that consumers have unanimously cheered Apple on to incorporated in their next-generation device. 1. HD Output – This feature has been asked for, numerous times. Users would like the ability to output HD video from their iPhone to watch movies, YouTube videos and podcasts on their big screen television sets. Currently, neither 720p nor 1080i HD is supported. 2. 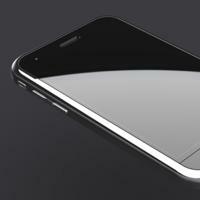 More Memory – Often users are disappointed to discover that they can’t purchase an iPhone over 32GB. DJ’s, for example have thousands of songs and would like the ability to store applications, videos and photos on an all-in-one device like the iPhone. 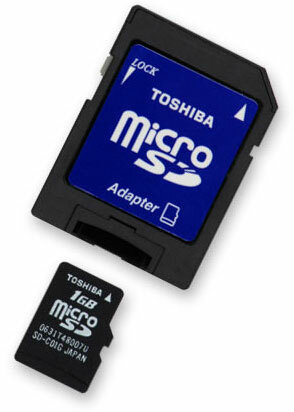 3. microSD Expandable Memory – Something like this would enable users to transfer photos to a small chip which then can be used to transfer files between phones. Perhaps sharing photos or videos with other family or friends. 4. Better Voice Control – Users are often frustrated with iPhone’s Voice Control application: It pulls up wrong names, dials wrong numbers and plays the wrong songs. Apple is continuing to work on this application to improve its recognition capabilities and an update can be very probable in the next-generation iPhone. 5. Enhanced Home Screen – Many users continue to be frustrated at the fluidity and usability of the current iOS. While Folders are nice, it’d be nice to have the ability for widgets featuring a giant clock, weather, unread messages, calendar events for the day, etc. Android has the ability to do many of these things and Apple users would like to take part as well. 6. Better Battery Life – Apple usually does pretty well in this category. With each launch they’ve usually improved its battery, so it’s pretty much a guarantee that this will come in the next generation as well. 7. Expansion to more carriers – With Apple’s first foray into the CDMA-world, consumers see hope in the future of the iPhone expanding on more networks, including CDMA ones. Perhaps through time users will see a Sprint iPhone? Who knows. 8. Less Dropped Calls – Yes, the infamous “antennagate” issue. This will go down in Apple’s history as one of its worst media-driven issues on mass. Apple claimed this as an overblown issue, implying that certain media-outlets overworked this story, and that in reality very few users were experiencing this problem. In the future, users would like better connection and less dropped calls. This would require co-operation by carriers (i.e. AT&T) to assist in ensuring that there are enough towers to support the pressure and the sheer amount of people using the network. 9. 4G Network Capability – With the uprise of 4G and LTE technology on networks like Verizon, users would like to have 4G network capability on the iPhone 5. This as well would require the assistance of carriers (again, i.e. AT&T) and having a 4G network up and running in order to support the 4G hardware. 10. iOS 5 – Again, users are always feature-hungry. Platforms like Android are growing at a much faster exponential rate and with Apple only releasing a new phone a year, it’s pretty clear that Google and Apple have very different business models for their phone business. What features will it bring consumers? We’ll just have to wait and see. As always, stay tuned to TechnoBuffalo for the latest developments. What do you think? Are there any things we missed that you think should be on this list? Sound off in the comments below.